I didn't intend on posting anything this weekend, but the Clear Eyes Investing blog passed a pageview milestone today and I wanted to jump on and say "thank you" to everyone who has taken a few minutes to check out my posts over the last thirteen months. A special thanks to those of you who've talked about the blog on social media or linked back to it through your own blogs. It's very much appreciated. Despite the massive interest in dividend-paying shares today, there's still much to discuss in the coming months and years. Please let me know in the comments section below or on Twitter (@toddwenning) if you have any topics you'd like me to address here. P.S. 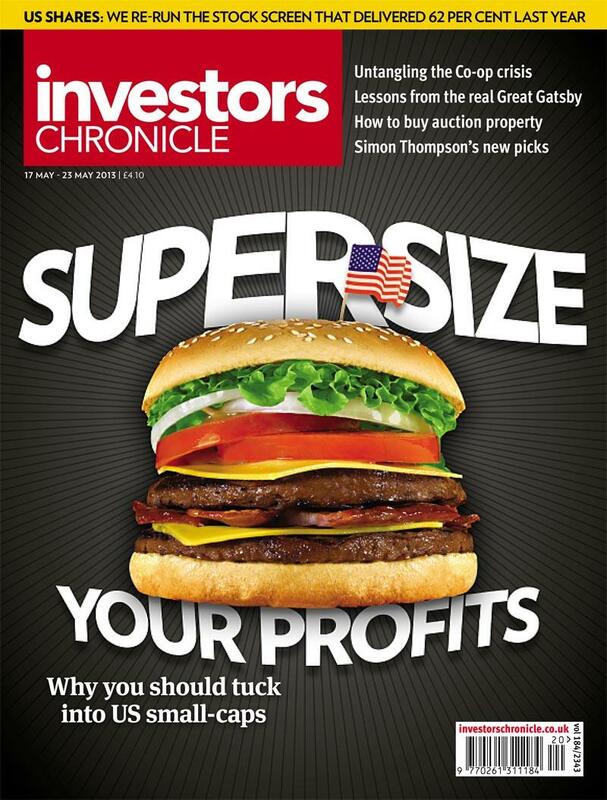 One of the projects I've been working on in recent weeks was an article for Investors Chronicle on US small cap shares. It was published this Friday, so if you're in the UK, please grab a copy and let me know what you think! Last weekend, a good friend came to town for a visit. We both started our financial careers on the same day -- and in the same training room, in fact -- but our career paths diverged a few years ago when he went the financial planning route and I went the investing/research route. As you might expect, finance and wealth management were common topics for discussion along with the usual -- family, stories about the "old" days, etc.. I was keen on learning more about the financial planning side (estate planning, trusts, etc.) and he the investing/research side of the business. One of the questions he asked me during his visit was, "How do you approach selling stocks?" Selling stocks is, in some ways, far trickier than buying stocks. Indeed, much of the investing literature online and on the bookshelf is focused on finding good stocks to buy. Far fewer address selling strategies. Traders and other investing strategies may have their own set of selling rules, but as far as income investing is concerned, there are three primary reasons to sell a stock in your portfolio. 1) The company dominates its competitors by having a library of valuable patents and generates high margins and returns on capital. 2) Current management has a distinguished track record of conservatively and profitably growing the company and making smart bolt-on acquisitions. 3) The current dividend policy is to maintain a coverage ratio of 2 times earnings; the payout looks safe and poised to grow. 4) Insiders have invested large amounts of their wealth in the stock, which should align their interests with common shareholders. Every quarter, review these key points of your thesis to see if it still holds. If the company's patents begin to expire and aren't being replenished, for instance, and margins are declining, it's time to revisit your valuation assumptions. After applying the new outlook, your fair value estimate could now be below the market price and could warrant a sale. More qualitatively, if the company breaks from its track record of making bolt-on acquisitions and makes an aggressive purchase of an unrelated firm, it could also be time to sell. When a thesis is broken, what remains is hope and emotion in the investment. That's a dangerous business. As Sir Arthur Conan Doyle said through Sherlock Holmes, "Detection is, or ought to be, an exact science, and should be treated in the same cold and unemotional manner." 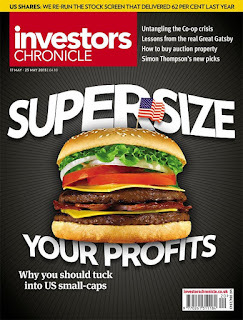 Some investors make the argument that you should sell when your stock reaches your fair (intrinsic) value estimate. Fair enough, but by doing so you may be cutting yourself off too early from future gains. It's important to remember that when a stock reaches your fair value estimate -- as long as your longer-term assumptions have not changed -- it simply means that going forward you expect that the stock price will grow at your cost of equity assumption (minus dividend yield) each year. That growth rate may not always be a terrible thing, depending on what your alternatives are at the time. For income investors that aim to hold for the longer-term and focus on income generation, a fairly-valued stock -- give or take 10% on either side of your FV estimate-- with a still-intact thesis may be worth holding. If the stock shoots past your fair value estimate -- say, 15%-plus -- then that is probably a good time to revisit your valuation assumptions. If nothing's changed, consider selling and rotating into a more attractively-priced investment. Dividend investors need to consider reinvestment risk before selling a stock. Put another way, if you're swapping one stock for another, there's a risk that the new investment won't perform as well over time. Still, there can be times when it makes sense to sell a low-conviction current holding for a more compelling, high-conviction opportunity. There's nothing wrong with trading-up. Income investors should err on the side of patience, but there are times when selling a stock is the prudent move. How do you approach selling stocks? Please share your thoughts and questions below.